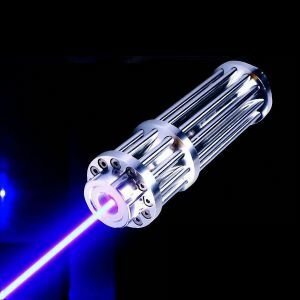 This is a REAL 2500mW 450nm Blue Laser Pointer(Class 4 Laser IV), the same as other sellers labeled "20000 mw" or "20 watt". It is able to light up matches, cigarettes, burn papers, plastics, wood, and engrave on low melting point metals. The laser's brightness and focus is adjustable. Laser Beam Divergence is less than 1.5 mRad for parallel light beam. 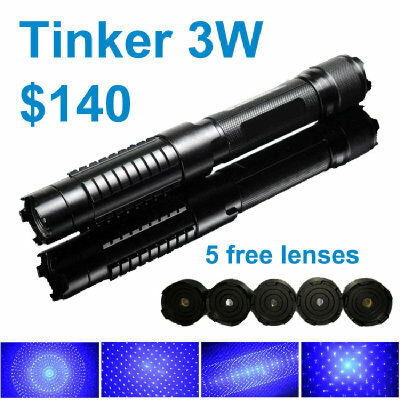 It is of interchangeable lens design, fits 11.28mm Diameter Laser Pointer Lens. 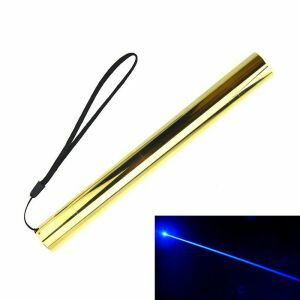 This is a REAL 2500mW 450nm Blue Laser Pointer(Class 4 Laser	IV), the same as other sellers labeled "20000 mw" or "20 watt". 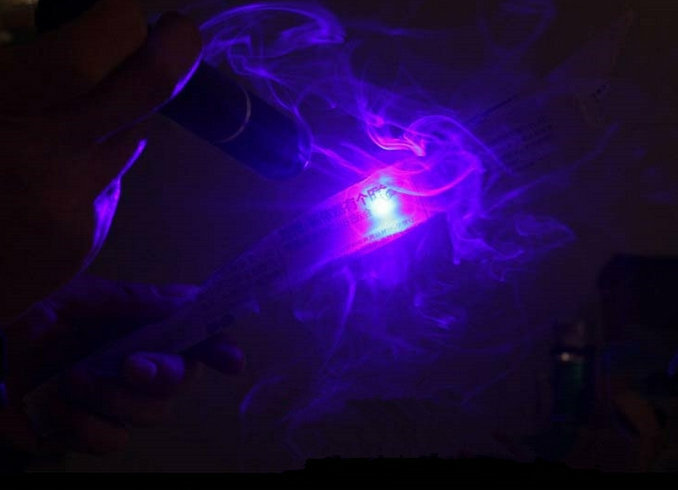 It is able to light up matches, cigarettes, burn papers, plastics, wood, and engrave on low melting point metals. The laser's brightness and focus are adjustable. Laser Beam Divergence is less than 1.5 mRad for parallel light beam. 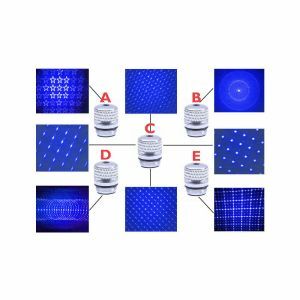 It is of interchangeable lens design, fits 11.28mm Diameter Laser Pointer Lens. 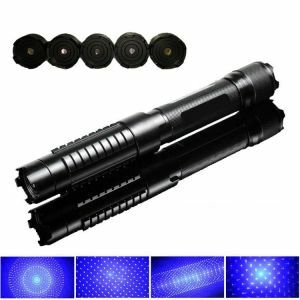 This laser is powered by 2 16340 batteries, also works with one 18650 battery.